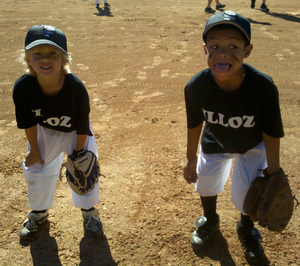 Every year, illoz sponsors a fall baseball team and this year, it's the T-Ball (ages four through seven) LUGNUTS! Woo hoo! 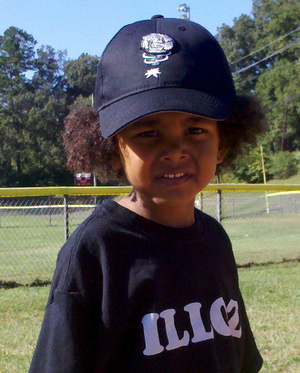 I didn't get the official illoz logo in on time for the shirts, but what the heck do the kids care? They don't give a whip about no logo! They just wanna play ball! 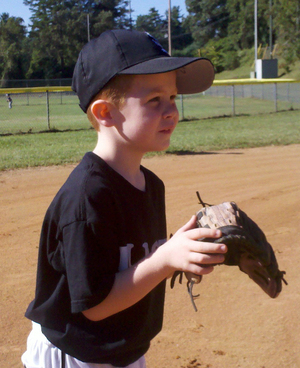 The fall baseball season here in Western North Carolina is a big deal, folks! In just the age-group of four through ten there are almost 300 players! That's a lot of kids getting remarkably dirty! I can't stand for stoic team photographs. 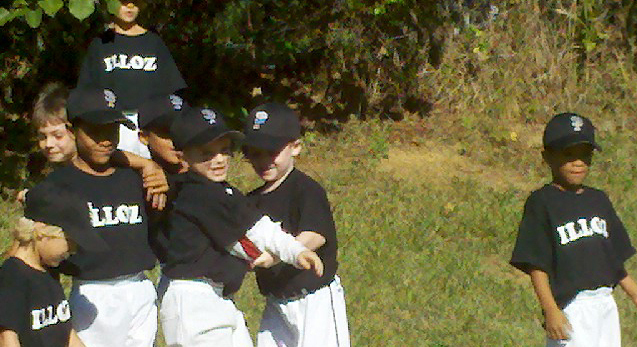 Baseball is a kids game and the only point is to have way too much fun, as far as I'm concerned. They've got plenty of time to look serious later. At this age, it's just the coaches that shouldn't look exactly normal. Why I'm involved in this: Adults have an uncanny ability to ruin a good time for kids, especially when it comes to sports. Looking to have the fun sucked out of something like baseball? Invite an adult, for sure. If I had the money to build a baseball park where adults where not allowed, I would build it immediately. Adults, let it be said, are the worst thing that ever happened to the great game of baseball, so says me. When kids are young, the crowds are huge. The player pictured left had his entire extended family show up for his season opener. Aunts, uncles, grandma and grandad, sisters and brothers all attended and cheered him on as he proceeded to hit no balls and never reach base. But, he had the crowd on his side, cheering him and his team on at all times! It's an odd and rather sad state of affairs, but as they grow older, they're lucky to have one parent, or even a best friend show up to cheer for their team. The kid in the picture (left) seems to know this sad truth already... or else he just doesn't like me! Close to the LUGNUTS field is a hill where the team likes to assemble and collectively stare into space. Once there is enough of them on the hill, they seem to spontaniously decide to run down that hill together, with complete abandon. Remember when running down a hill was the best fun ever? That's why the illoz name is on the shirt! I had to be quick to get the photo above. The LUGNUTS don't waste any time when fun is to be had! 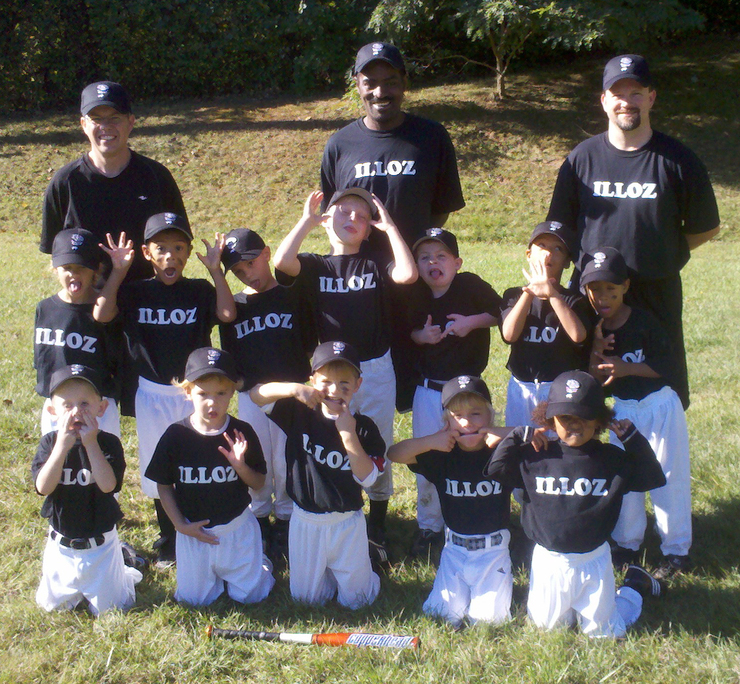 Thanks to everyone at ILLOZ for helping to cheer on the fabulous LUGNUTS this fall season! Above pictured is the true field of dreams, as far as I know.